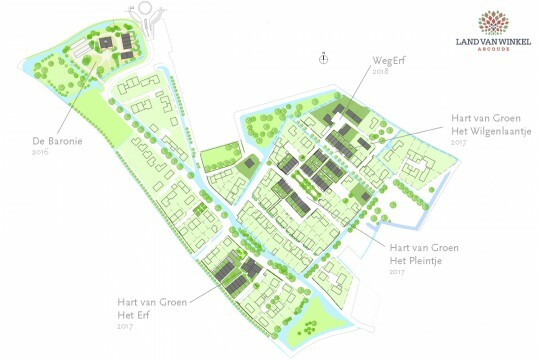 As our project ‘De Baronie‘ reaches completion and building has begun on our social housing project ‘Hart van Groen‘ AxCO is designing our next Dutch countryside ensemble in the 4th phase of the Land van Winkel development. 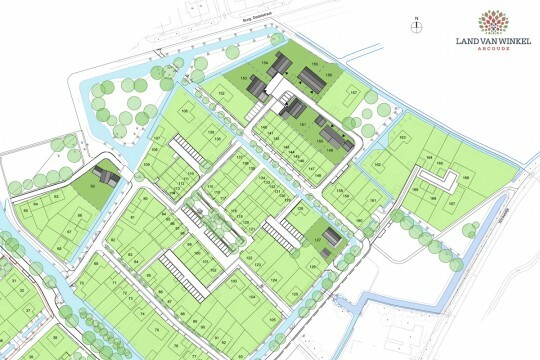 Over 200 homes, designed by a select mix of 7 architects are being realised on the outskirts of the village of Abcoude, surrounded by typical Dutch landscape. The ambitious urban plan, designed by La4Sale, is based on the concept of ‘tradinnovation’ and will result in a mixed energy-efficient neighbourhood of open spaces and unique homes designed with respect for the exisiting landscape and village structure.